Getting the ideal dough hydration level is one of the most important goals of mixing. When ingredients are instantly and properly hydrated, both the product on the make-up line as well as the final product becomes more consistent and the quality increases. Yet if you’ve ever been a part of the mixing process, you know it’s not just a simple step of adding water. Different ingredients have different water binding capacities. Some products need higher hydration levels than others. And factors like time and heat play a role as well. Standard mixers and hydrators utilize a range of metal tools and bowl configurations to attempt to achieve the desired results. However, this technology has tremendous limitations. They impart a high degree of force, friction, heat and damage to the product. This is why ice, glycol, chemical additives and a wide range of equipment design is necessary. They allow the dough to reach close to the hydration level it needs. The problem is this adds time, expenses and extra ingredients. Plus, the ideal hydration level is almost never achieved by the traditional mixer. This is why doughs “Tail Out” on the make-up line. Contrary to popular belief, it’s not oxidation. It’s improper hydration. 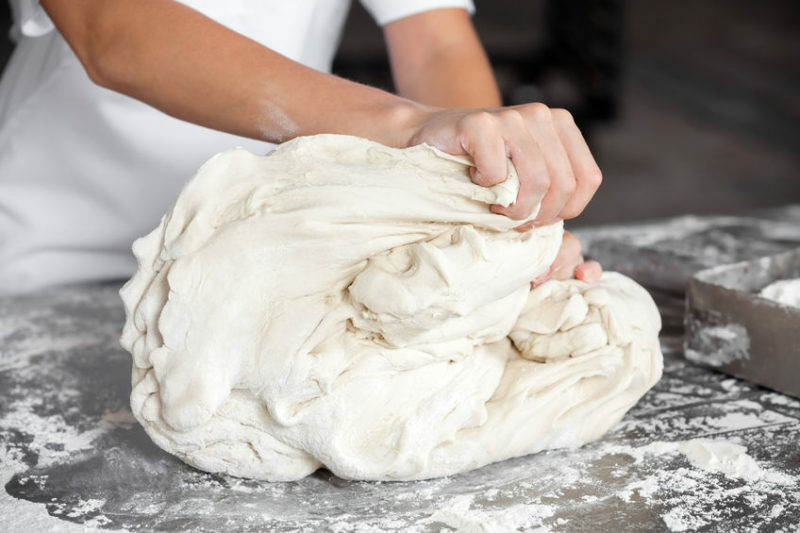 For water to fully penetrate the surface tension barrier of flour and other dry ingredients, it takes up to 30 minutes. So, is there a way to reach the ideal hydration level by instantly hydrating and mixing ingredients with minimal heat and friction? Impossible, you say? The “green” and patented Rapidojet technology is the most disruptive hydration and mixing technology that the baking, food, flour milling and brewing industries have seen in more than 100 years. It operates as either a continuous or batch mixer that instantly hydrates a product by shooting dry ingredients with a high-pressure stream of liquid. The mix is then delivered directly into the make-up line, legacy mixer or bowl. With one machine, any dry ingredient or product can be cleaned, hydrated or mixed from a 2% hydrocolloid solution to a 65% bread biga. The normal 8 – 26 hour tempering or conditioning of grains can be instantly achieved. What are you going to do with your concrete silos and increased capacity now? The patented Rapidojet technology provides the only way to instantly achieve the ideal hydration and gluten development level from one machine design while minimizing damage to the product and extra ingredients or process steps. For instance, we’ve instantly hydrated Pectin at a 4% solution with ambient temperature water. The previous process required super-heated water in order to achieve a homogeneous solution. This mixture then needed to be cooled prior to processing. While providing total product consistency, your yield, energy, labor, sanitation, spare parts and worker safety savings will result in a rapid ROI. The energy used by Rapidojet is only about 1.5 Kw Hr. / ton of output vs the normal 15 kw Hr. / ton from a normal mixer. Rapid ROI with increased product quality is easily achievable. To learn more about how to hydrate correctly in one step, email me at ken@bakeryconcepts.net. Ideal and instant Hydration is now easy and inexpensive. Stop Tailing Out. Let’s talk!